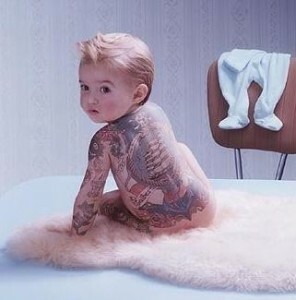 Future tattoo concealer clients? Probably not since these tattoos are fake. 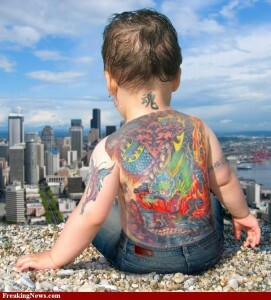 Noentheless, these “tattooed” tots rock some great ink!